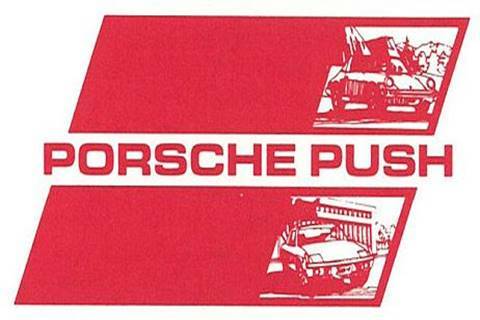 Two Essential Features of the 914 Porsche Limited Edition The Porsche-Audi dealership newlsetter from March 1974 above is the only known official announcement and description of the 914 Porsche Limited Edition (914 LE) cars. Porsche Cars North America (PCNA) tells us that two essential features are required of all authentic Porsche 914 Limited Edition cars. 1.) The exterior paint color scheme of either U1V9 or U2V9, and 2.) Optional Equipment Package M-778 (Can Am Equipment). Both of these items will appear on a Certificate of Authenticity (COA) and the importance of documenting these two required items with a COA cannot be overemphasized. There are known late-VIN 1974 914s with the correct 914 LE paint code, that do not have the M-778 Can Am equipment, so PCNA does not recognize these cars as authentic 914 Can Am cars. See listings on the 914 Can Am Registry for cars with VINs above 16764. Dealership Advertisement The advertisement above is the only known 914 LE advertisement. It was published on May 6, 1974 in the Denver Post (Colorado) newspaper, and was collaboratively sponsored by a consortium of three local Denver Porsche Audi dealerships. Exterior Paint Schemes The primary distinguishing feature of the 914 LE cars is their exterior paint schemes. When comparing Can Am racing car color schemes to the limited production 914 LE cars, there is no direct correlation. But the spirit of the racing cars was captured by the application of striking color contrasts using standard 914 Porsche colors, with bold accent color statements and specially-designed side stripes. Two unique color schemes were produced featuring a main body color, with wheel centers, bumpers, negative side stripes and valences in contrasting accent colors. 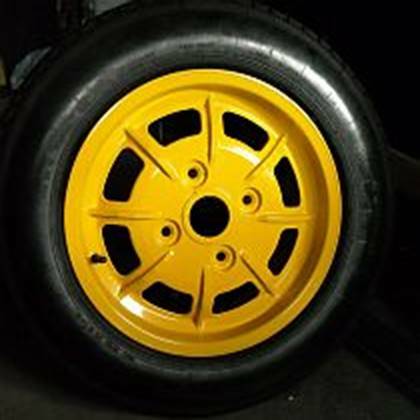 · Black (L04I) body / Sunflower Yellow (L13K) accent - 'Bumblebee' The corresponding paint number is U1V9. Black body paint color was always an additional cost special option on standard 914 Porsche cars, but was included as a standard component on the black 914 LE cars. It is worth noting that all but one photo of the 914 Porsche Can Am prototype cars are Bumblebee cars. 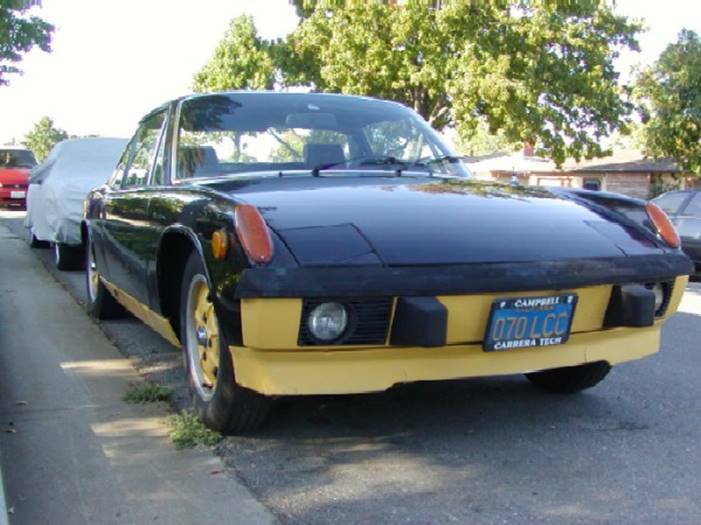 The black based 914 LE color scheme is unique to the 914 LE cars and has no precedent with the Can Am race cars or the 1973 911 Carrera RS series cars. Of the surviving 914 Limited Editions, Bumblebees have a slight majority over Creamsicles. · Light Ivory (L80E) body / Phoenix Red (L32K) accent - 'Creamsicle' The corresponding paint number is U2V9. Phoenix Red is actually a reddish-orange color. This Light Ivory-based color scheme concept is a carry-over from the 1973 911 Carrera RS series car design precedent. Wow, them are bright colors! Certain previous owners of 914 Porsche Limited Edition cars may not have liked the bold color schemes, to some they are overly bold and garish. A description of the Bumblebee cars I like is that they “stand out like a kick in the teeth”. Even the current official www.porsche.com website shrugs it off as ‘it was a colourful period’. Conformity is human nature. As color tastes changed during the 1980s and 1990s, 914 Limited Edition car owners may have simply painted over the bright trim colors to make their cars look more like a conventional 914. With careful inspection, certain authentic 914 Porsche Limited Edition cars may be in disguise and may still have orange or yellow peeking through chips on the wheels and valences. Be on the lookout…once an 914 LE, always an 914 LE. · 914 Can Am front spoiler Specially-designed for the 914 Can Am Equipment Package, the front spoiler is a unique part on the 914 Can Am cars not originally available on standard 914s, but was later available for standard 914's as a separate accessory from Porsche dealerships. 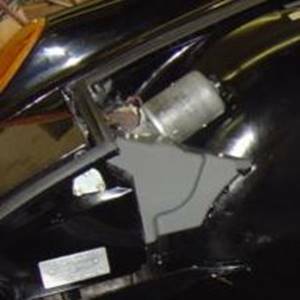 The spoiler is of much better quality and detailing than the common aftermarket 914 LE front air dams of similar shape, and is fully molded on all surfaces. It is easy enough to see the differences between an authentic 914 Can Am front spoiler and the aftermarket variety, the details and build quality are not even close. The 914 Can Am front spoiler (Porsche PN 914.503.235.10) is mounted with two special brackets (Left-PN 914.503.237.10 and Right-PN 914.503.238.10), not found on standard 914s with stock front valences. The 914 Can Am front spoiler was only available with a white gel coat fiberglass finish, never in steel or black gel coat fiberglass. It was available from the Porsche dealer as optional equipment for standard 914 cars beginning in 1974 for $145 and replaced the standard front metal valence. Authentic 914 Can Am front spoilers are becoming difficult to find. 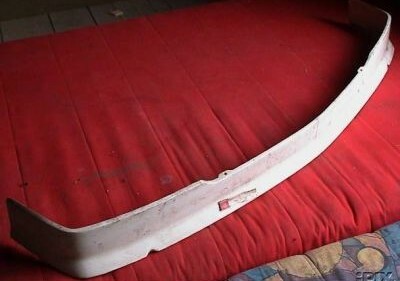 They are easily damaged and are frequently replaced with alternatives that are not as desireable as the OEM spoiler. Study the spoiler details below and the photographs on the 914 Can Am Registry and you will see that only about 25% of the cars still have the authentic front spoiler. There is no obvious reason why the 914 Can Am front spoiler is shaped the way it is, being shorter in the middle than on either side other than for styling. Functional reasons, including clearance for attaching a cable to the tow ring under the front trunk may be one possibility, and it has nice flowing lines. · 914 Limited Edition side stripes: Before the introduction of the 914 Porsche Can Am cars, Porsche 914 side stripes were of the ‘positive’ lettered design style, as an optional dealership accessory and in black and white only. The negative-lettered 914 Limited Edition side stripe design, which is the most popular 914 side stripe even today, was designed and produced as a special component of the 914 Can Am Equipment Package. The color of the 914 LE side stripes matched the accent color and let the body color show through, spelling the word ‘P O R S C H E’ in a block, sans serif font. A couple of published sources describe that the 914 Limited Edition side stripes were installed onto the 914 LE cars at the factory, and that the 914 LE was the only 914 Porsche vehicle to have factory installed side stripes. 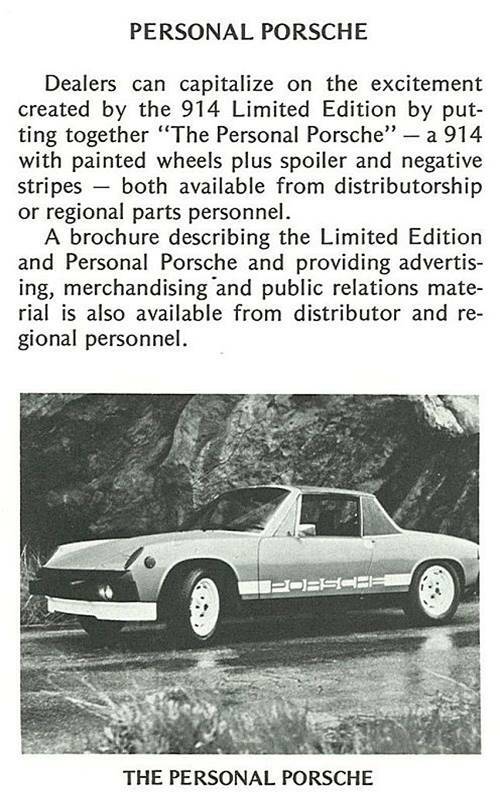 But a couple of other reputable sources have communicated to me that they worked at Porsche dealerships in 1974 and mentioned to me that the 914 LE cars were always delivered without the side stripes mounted and were just supplied with the cars for dealer mounting...something about the cars being shipped in Cosmoline which was removed during dealer prep. Cosmoline would have damaged the stripes! Additionally, some 914 LE buyers did not want the side stripes mounted, so they left the dealer lot without stripes. Factory-produced 914 Porsche Limited Edition side stripes in the correct accent colors are not available, and there never was a Porsche part number for them. Aftermarket replacement side stripes are currently available in yellow and orange, using standard sheet vinyl signage colors, which are close but are not exact matches for the factory-correct 914 Porsche Limited Edition accent colors. 1. Locate bottom edge of the stripes 3/4 inches (18mm) above the lowest horizontal crease line of the body. 2. CENTER letters between the wheel wells (not off-center and not centered on the door). This locates the rear edge of the drivers door through the letter ‘H’ and the rear edge of the passenger door through the letter ‘O’. 3. Extend side stripe ends fully into the wheel wells all the way to the edge of the sheet metal and trim, do not terminate them short of the wheel wells, on the outer body panels before the raised fender lip. 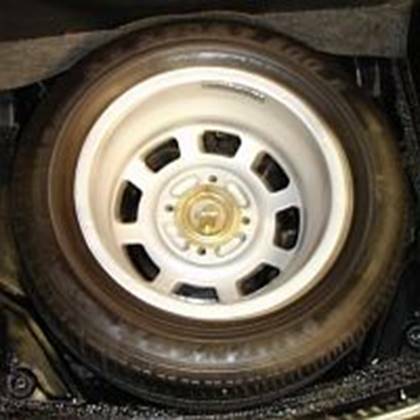 · Alloy Wheels Mahle (4-bolt) cast aluminum wheels, including the spare in the front trunk, with painted wheel centers in the matching accent color. 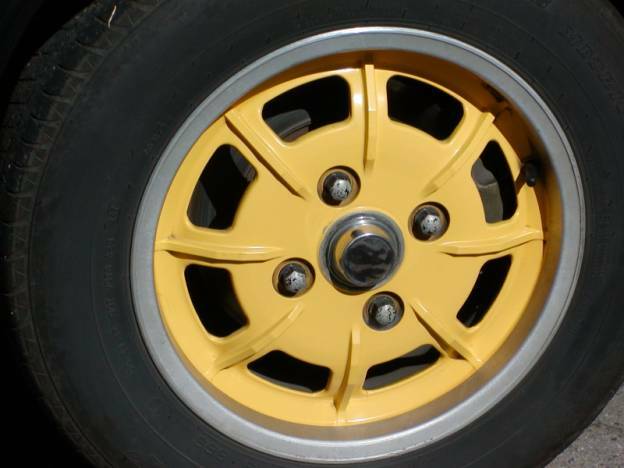 Typical bright-finished wheel lug bolts were provided on all 914 Can Am cars, and were “silver-grey cadmium plated steel bolts”, according to Technical Information dated 7.11.73. 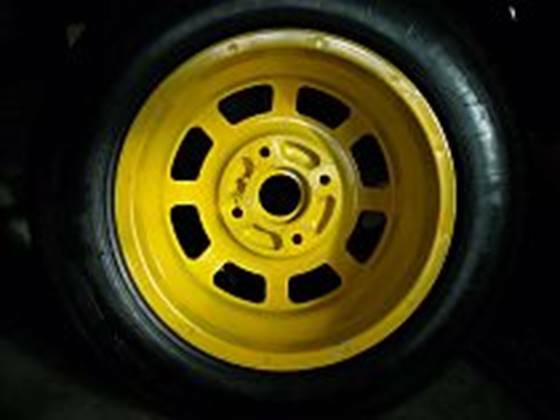 The original tires were Dunlop, Michelin or Continental radials, 165 HR 15. 914 Can Am cars were provided with OEM black plastic lug bolt covers. 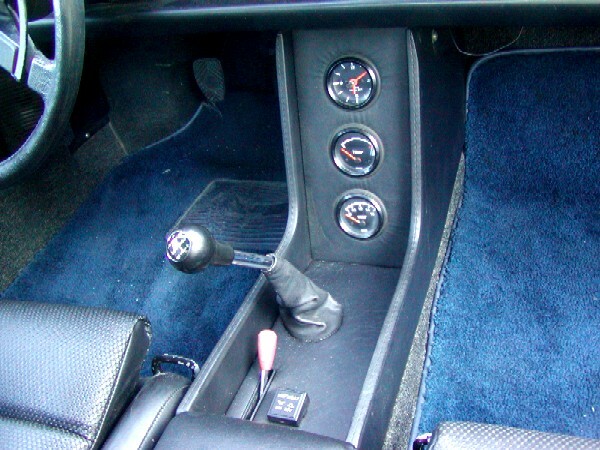 · Appearance Group Equipment: A special grouping of the typical OEM appearance group items found on many 914s: Foglights, center console with clock, oil temperature and voltmeter gauges, leatherette steering wheel, leather shiftlever boot, and center seatpad. The Targa bar vinyl and lower bright metal trim were deleted and of course the bumpers were painted, not chromed. 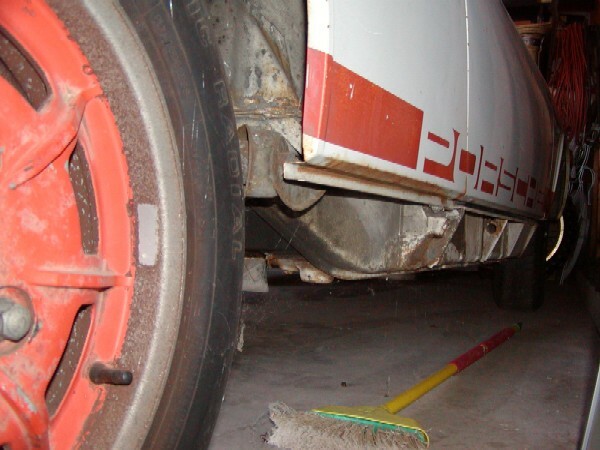 · Front and Rear Stabilizers (sway bars): The typical OEM 15mm front and 16mm rear sway bars found on many 914s. · 2.0L engines All 914 LE cars have 2.0L fuel-injected engines. 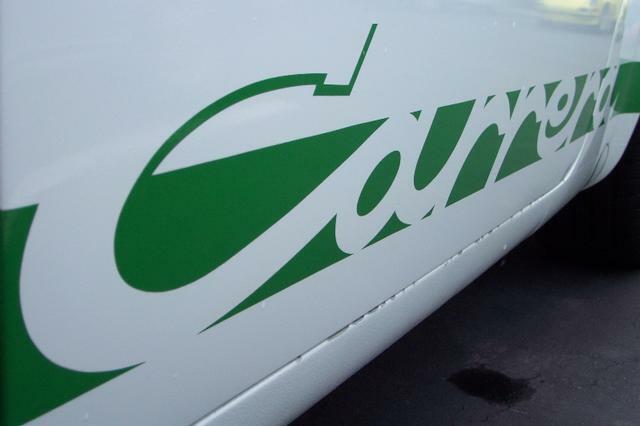 · Omitted Targa Bar vinyl and lower bright metal trim All but one photo of the 914 Can Am Prototype cars have Targa bar vinyl covering typical of standard 1974-76 Porsche (USA market) 914 cars. The Targa bar vinyl covering was omitted on the 914 Porsche Limited Edition as a distinction from the standard 914 Porsche production cars. 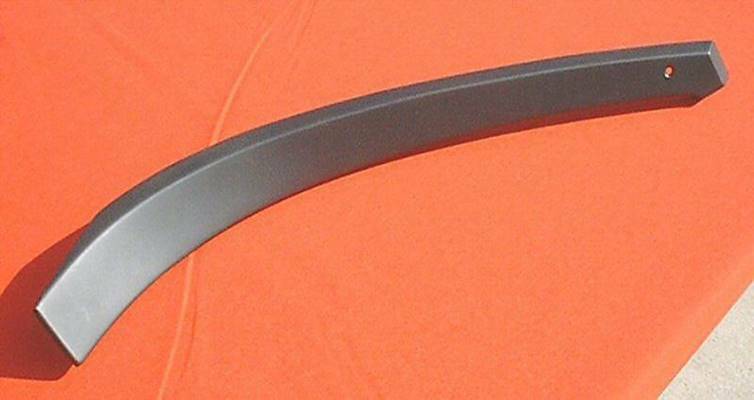 Without the vinyl Targa bar covering, the standard thin horizontal aluminum trim piece at the bottom edge of each side of the Targa bar was also eliminated, and no corresponding mounting holes through the body were drilled. If there is any doubt about a car you are looking at, feel up under the inside Targa bar from each rear wheel well for filled in holes where the bottom horizontal trim piece might have been installed. 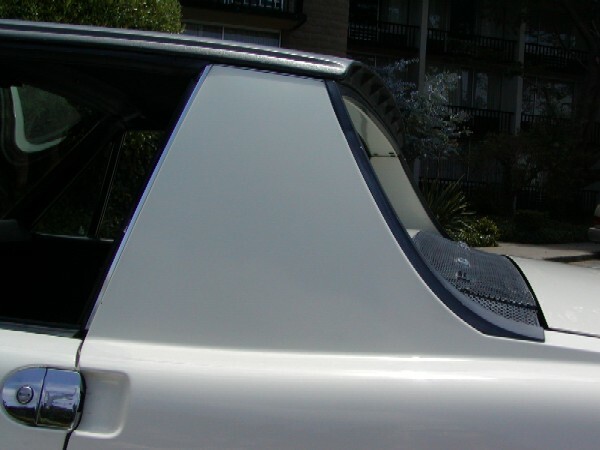 · Exterior metal trim Bright silver (clear anodized, polished aluminum) exterior body trim on the 914 LE cars was used more sparingly than on the standard production 914 cars. The silver trim on a 914 LE car is identical to a standard 914 except as follows: The bumpers were painted the appropriate 914 LE car accent color, never black or chromed, and the fog light grilles were black. The Targa bar rear exterior metal trim finish moldings were painted satin black on all 914 LE cars (a typical European market 914 detail), in either color scheme, unlike the bright silver finish of a standard USA 914. The short Targa bar corner trim pieces beneath the removable roof on top of the Targa bar were bright silver as on a standard 914 Porsche, even though they do not match the adjacent trim, even on the Bumblebees where all other adjacent finishes are black. · Grey Headlight relay covers Coincidentally overlapping with the 914 Porsche Limited Edition production timeframe, during Spring of 1974, Porsche 914 cars were delivered with light grey headlight relay covers in the front trunk. A survey of Spring 1974 Porsche 914 cars, indicates that from March through at least part of May, all 914 Porsche cars were manufactured with the light grey covers. While not an exclusive feature to just the 914 LE cars, if the covers are original, it is another indication of the authenticity of a 914 LE car, and period-correct covers! 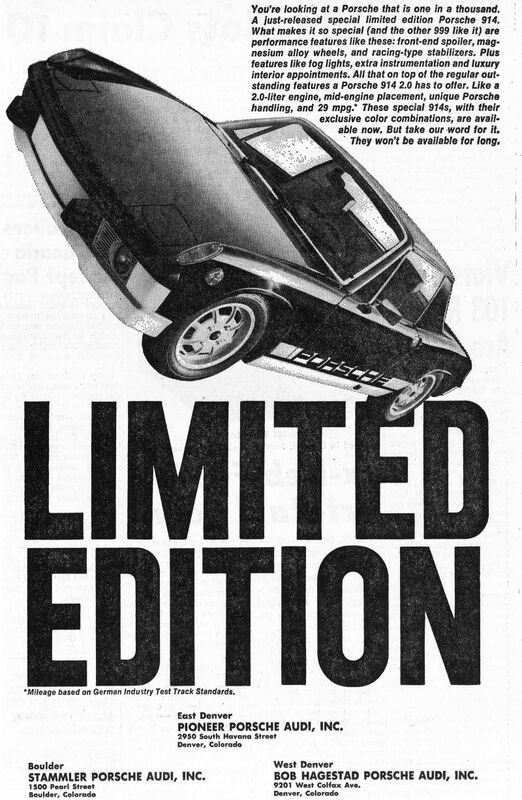 · Shock absorbers Most 914 LE cars were factory-equipped with Boge shock absorbers, despite one reference that suggests that Bilsteins were standard 914 LE equipment. Bilstein and Koni shock absorbers were available only as optional upgrades. · Body emblems and trim The rear bumper tow hook plug cover, the side valence jack hole plug covers, the rear tailpanel 914 and 2.0L emblems and the windshield washer fluid jets were all standard black plastic on the 914 Can Am cars, as they were on standard 1974 914s built during Spring 1974. · Instrument gauges The 914 LE instrument gauges on the dash and center console have the late style black centers, typical of 914 cars built in Spring 1974. 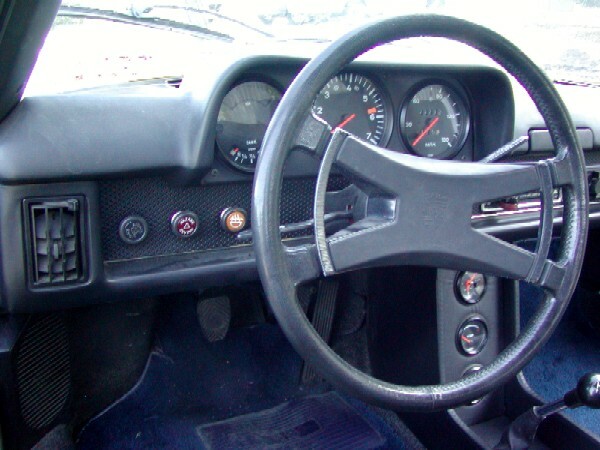 Silver center gauges were provided on 914 cars through late calendar year 1973, including early 1974 model year cars, but all 914 Can Am cars will have black center gauges. The oil temp gauge in the center console will also be the late style with the shorter red zone marking. · and the 'Personal Porsche' program. Personal Porsche program Apparently in an attempt to leverage on the momentum that the 914 LE cars were getting, dealerships were given the authority and encouraged to customize standard 914s, in a coordinated way, with creative combinations of accent-colored painted wheels, the 914 Can Am front spoiler and the new negative side stripes, as a thematic twist on the 914 LE cars. A brochure was reportedly even available on how to do it! 914 Can Am data collection: Information presented on this website has been gathered as it becomes available, it is not comprehensive of all 914 Can Am cars produced or surviving. It is the best data available, and we can learn much. The information indicated on this website was received from sources deemed reliable or personally verified and is believed to be accurate, but is not guaranteed. How many 914 Limited Edition cars were produced in each color scheme? 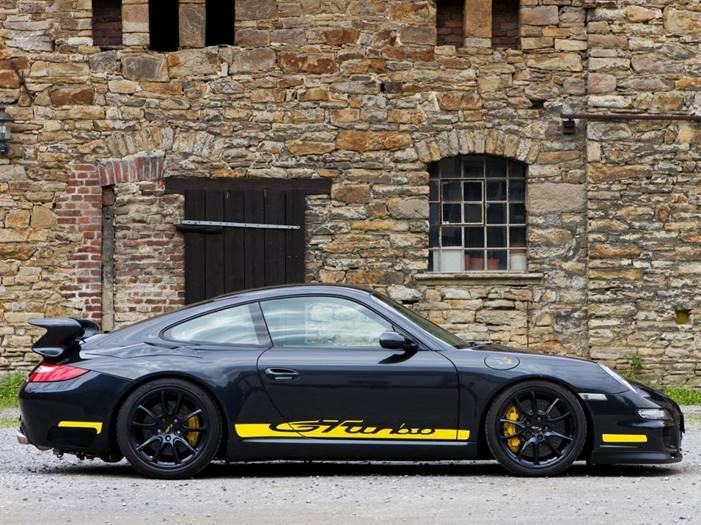 Porsche has published no records and have stated that they do not know the number of each color scheme produced. Of the 1000 914 Porsche Limited Edition cars that were reportedly produced, some have estimated that approximately 500 are black-based, and 500 are light-ivory-based. How many 914 Can Am cars still exist today? We will probably never have a 100% comprehensive listing, but it is not likely that there are more than a handful of unlocated, surviving 914 Can Am cars that are not already listed on the Registry. Data for this website and Registry has been regularly collected since the mid-1980s, so its not likely that very many cars have been missed. Additional cars are occasionally located and added to the Registry, but it is highly probable that the vehicles already listed represent the majority of surviving 914 LE, 914 GT and 914 SL cars. As old as 914 cars are, many have succumbed to accident, abuse, neglect and the rust monster already. Were the 914 Can Am cars built with sequential VINs? No. The current VIN number range from the lowest to highest VIN for the 914 Can Am cars, spans approximately 2,400 VIN numbers. Of the 1000 total Porsche 914 Can Am cars manufactured, this datapoint alone confirms that they were not built on sequential VIN chassis. The Registry data further confirms that the 914 LE, 914 GT, and 914 SL cars were simply pulled off the regular production line, which included intermingled standard 914 cars. Were the 914 Can Am cars built with sequentially numbered main parts? No. The factory warehoused various 914 Can Am components and installed them at the production line in random order of how they were stored into the warehouse. 914 chassis and parts were fabricated, serial numbered or not, and assembled in random order as the pieces came out of the parts bin and then a VIN was assigned to a completed car as it left the factory, without requiring the sequential use of numbered parts. This means that adjacent VIN numbered cars, typically will not also have sequential chassis numbers or drivetrain components. Even though two identifying numbers represent dates, it is probably more important to think of them as merely control numbers of one kind or another and not become too concerned about any potentially deeper significance. How many 914 Can Am cars of each color combination were built? It is not known. There is no official published record of the number of cars built in specific color combinations. Some have suggested that there were 500 black- and 500 light ivory-based 914 Can Am cars produced, and this seems at least approximately correct according to the data trends shown on the 914 Can Am Registry. Notice that a slight majority of cars listed on the Registry are black color-based cars, it might be that more people prefer the black/yellow color scheme better and perhaps that is why more of them have survived. 40 to 50 914 Porsche cars were typically built on average per day. The 1972-1974 factory color brochures state that about 70 maximum cars could be built in one day, but that seems to have been the exception rather than the rule. 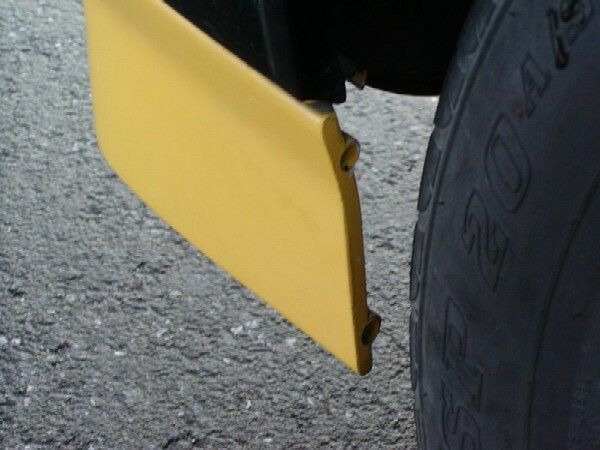 The paint code for a 914 Can Am car will be either L04I (Black) or L80E (Light Ivory), the accent colors are not indicated on this chassis plate. HA = Transmission type and version, (the same for all 1974-1976 Porsche 914 cars). Therefore a transaxle code such as HA 04094 indicates this transaxle was manufactured on September 4th, 1974. Why might there be a conflict between the dates from the chassis plate and the date on the rear drivers door jamb sticker? 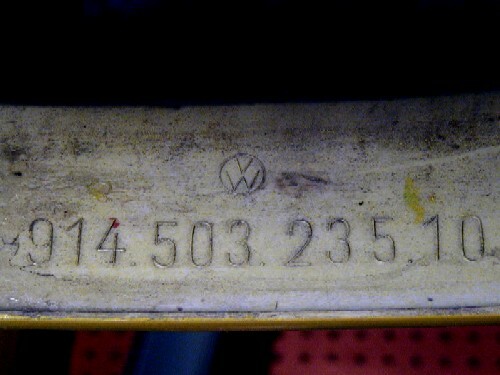 The Safety Compliance label date on the drivers door rear jamb may seem misleading at first glance. As an example, according to the information about VIN 15176 from its stickers and labels, and its PCNA COA, this Bumblebee began production on Thursday, 21 February and was completed on Saturday, 23 February, 1974. Yet its Safety Compliance label date is embossed as 3/74, or March 1974, which seems to have been the date that the Safety Compliance Certification was achieved or the date the label was installed, which must have been a few days or even a week or more after the car was completed. 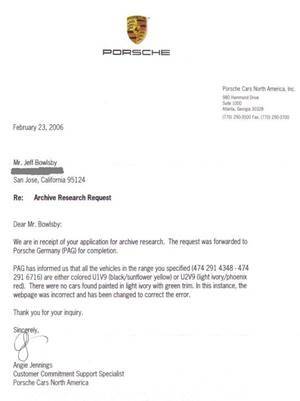 Certificate of Authenticity (COA) The Porsche Cars of North America Certificate of Authenticity, is the most important and the only objective piece of evidence obtainable, documenting the authenticity of a given 914 Porsche Limited Edition vehicle, as all other items can be recreated or fabricated or otherwise obtained. The COA is a Certified statement, based on a review of the Porsche Factory production records (Kardex) of a particular vehicles recorded factory production information. The COA for an authentic 914 Limited Edition will usually but not always, include the words ‘Can Am’ or ‘Limited Edition’ or their combination. The earliest COAs prepared in the early 1990s may simply state the unique 914 Limited Edition color combination and not use the wording ‘Limited Edition’ or ‘Canam’. But be patient, there is a degree of variation in the wording used on the COAs, and the PCNA staff are quite helpful in assisting you with obtaining an accurate COA which reflects their Factory records. The vehicles VIN, engine, transaxle, body and color number information if included on the Certificate, must all match the COA, that’s what having a car with ‘matching numbers’ means. Links to Certificates of Authenticity for the 914 Limited Edition cars that I have been able to collect are located on the 914 Can Am Registry, just follow the links for each car with a COA listed. Each COA is unique, and its enlightening to review and compare them for their subtle differences. The 914 Limited Edition for North America may have been created in part, by the M-470 optional equipment group also known as the Grand-Tourisme-Equipment. The information below is from a VW-Porsche internal ordering book. It specifies that in addition to the USA 2.0L cars (models 473444 and 473544), the 914 Limited Edition was also available in 1.8L engined cars (models 473434 and 473534), both with and without the Appearance Group which seems incorrect. 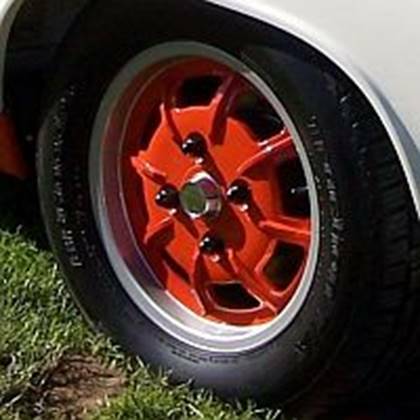 Suprisingly it also specifies forged alloy wheels (4-bolt Fuchs were the only forged wheels available for the 914 Porsche) which is incorrect for the USA 914 Limited Edition cars and it also does not indicate the means for specifying the body color combination. Obviously some further information remains to be located.